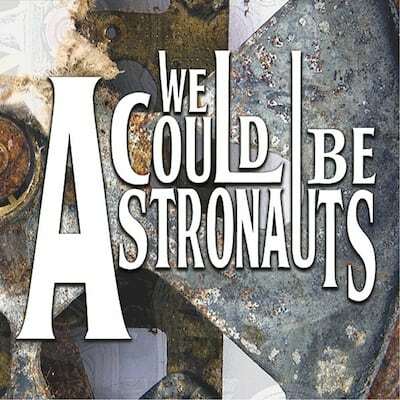 We Could Be Astronauts are a five-man outfit based in York. They’re relatively new on the scene having formed in 2009 from the dissolution of two established bands; Hijak Oscar and Idle Jack And The Big Sleep. Self-described as producing “all-out, thunderous rock” the band has made some serious headway since forming, including supporting Shed Seven at the Sheffield 02 arena, securing a slot on the BBC Introducing Stage at T In The Park and getting radio airtime. The expectation riding on the back of their debut album then is best described as nothing short of palpable. 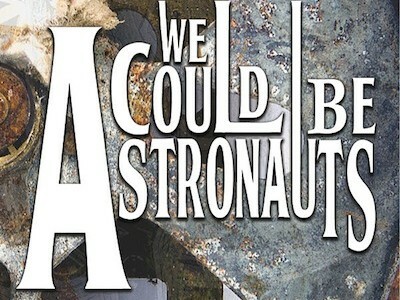 You’d be forgiven for expecting an awesome opener to kick off such a highly-anticipated release, which is why first track ‘Astronauts Report: It Feels Good’ is so disappointing. The track itself is a sort of intro lasting just under three minutes; it basically consists of archive audio of a space shuttle countdown and would probably have been at least bearable had it been shorter, but to us it feels drawn out and cumbersome, hardly a fitting premise to a serious rock album, contemporary or not. Providing some sort of redemption for the pretentious opening is ‘Clockwork Cemetery’, which really showcases the refined yet unmistakeably fresh rock sound of WCBA. This, alongside other standout tracks such as ‘Fu**ed Up, Corroded, Broke Down, Exploded’, ‘Look Frank, It’s A Toaster!’ and ‘Lost At Sea (A Misanthropic Lullaby’) are (for us) what make up the backbone of this album; they’re like the spine of a riff-heavy book, keeping the pages all together and turning smoothly, which roughly translates to how we feel about the cohesiveness of the album’s sound, which is all at once effortlessly contemporary and reassuringly true to its roots. Elements such as the intelligently crafted – and wonderfully delivered – lyrics of ‘Astronaut Blue/Stop Including Me’ and ‘The Volunteer’, the rough-and-ready rhythm of ‘Mary’s Violet Eyes’ and delectable electric riffs of ‘Game Over’ are present throughout the album but stand out beautifully on certain tracks. That for me is the real beauty of WCBA, as they even say on their website, they will “never be a band making records full of album fillers” and this holds true upon listening for yourself, whether it’s ‘Loose Lips’, ‘Good As Gone’ or ‘The Catastrophist’ every track feels fleshed out and animated, there are no “zombie” tracks to be found here. We’ll be honest, we enjoyed this album and could think up a hundred evocative adjectives to describe it, we could say “it’s kaleidoscopic”, or perhaps that it’s “like being hit full-speed by the train of true rock”…or whatever. In truth it’s like this – we liked the hardline sound that we feel the rock scene seems to have been missing so much lately, we liked the melodies, the rhythms; we liked the solos too (oh! The solos!) But at the end of it, we liked it mostly because it isn’t trying to be something it isn’t. It’s cohesive, well-formed, mature and ultimately a goddamn awesome rock record, which is never a bad thing.